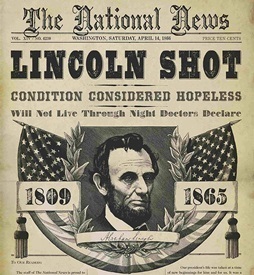 1865 – President Abraham Lincoln was shot and mortally wounded by well-known stage actor John Wilkes Booth while attending the play Our American Cousin at Ford’s Theatre in Washington, D.C. Shot in the head as he watched the play, Lincoln died the following day at 7:22 a.m., in the Petersen House opposite the theater. The assassination was part of a larger conspiracy intended by Booth to revive the Confederate cause by eliminating the three most important officials of the United States government. Conspirator Lewis Powell was assigned the task of killing Secretary of State William H. Seward, and George Atzerodt was given the job of killing Vice President Andrew Johnson. Seward was seriously wounded in a vicious stabbing by Powell but survived. Atzerodt, Johnson’s would-be attacker, lost his nerve. 1902 – James Cash Penney opened his first store … but it wasn’t a J.C. Penney. Golden Rule Store owners Guy Johnson and Thomas Callahan, impressed by Penney’s work ethic and salesmanship, offered him one-third partnership in a new store he would open. 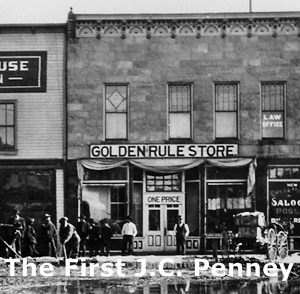 Penney invested $2,000 and moved to Kemmerer, Wyoming, to open a Golden Rule Store on this date. When Callahan and Johnson dissolved their partnership in 1907 – after Penney had opened two more stores – he purchased full interest in all three stores. In 1913, he moved the company to the Kearns Building in downtown Salt Lake City, Utah. The company was incorporated under a new name, J. C. Penney Company. By 1929, the number of stores reached 1,400. 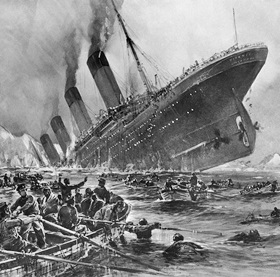 1912 – RMS Titanic collided with an iceberg during her maiden voyage from Southampton, England to New York City. At 11:40 p.m. on the fourth day of the voyage, Titanic struck the iceberg about 375 miles south of Newfoundland. The collision caused the hull plates to buckle inwards along her starboard (right) side and opened five of her sixteen watertight compartments to the sea; she could only have survived with a maximum of four compartments flooding. At 2:20 a.m. (April 15), she broke apart and sank with well over one thousand people still aboard. Of the estimated 2,224 passengers and crew aboard, more than 1,500 died, making it one of modern history’s deadliest commercial marine disasters during peacetime. 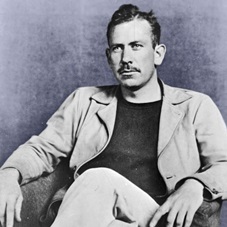 1939 – John Steinbeck’s The Grapes of Wrath was published. Set during the Great Depression, the novel focused on a family of tenant farmers driven from their Oklahoma home by drought, economic hardship, and bank foreclosures. The book won the Pulitzer Prize for Novels in 1940. 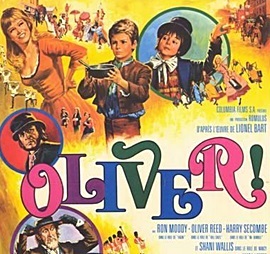 1969 – At the 41st Academy Awards, Oliver won six Oscars, including Best Picture and Best Director (Carol Reed). The year was notable for the first – and so far, only – tie for Best Actress (or any female acting category). Katharine Hepburn (The Lion in Winter) and Barbra Streisand (Funny Girl) shared the award. Cliff Robertson (Charly) won Best Actor, while Jack Albertson (The Subject Was Roses) and Ruth Gordon (Rosemary’s Baby) won the Best Supporting Actor and Actress awards. 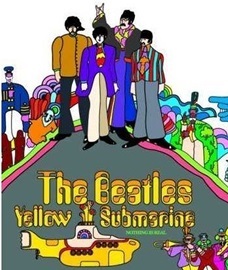 The list included One Toke Over The Line (Brewer & Shipley), White Rabbit (Jefferson Airplane), A Whiter Shade Of Pale (Procol Harum), Lucy In The Sky With Diamonds and Yellow Submarine (Beatles), Puff The Magic Dragon (Peter, Paul & Mary) and Hi-De-Ho (Blood, Sweat & Tears). Idle Thought: That meant the commission had less time to investigate charges of corruption within the administration of Chicago Mayor Richard J. Daley but establishing the drug song list made the world a much safer place. 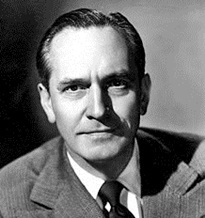 1975 – Academy Award and Tony Award winning actor Fredric March died from prostate cancer at the age of 77. Regarded as “one of Hollywood’s most celebrated, versatile stars of the 1930s and ’40s,” he won the Academy Award for Best Actor for Dr. Jekyll and Mr. Hyde and The Best Years of Our Lives. He was also a multiple winner of the Tony Award for Best Actor in a Play for Years Ago( and Long Day’s Journey Into Night. His list of other credits include starring in the original A Star Is Born, Desperate Hours, Inherit The Wind, Death of A Salesman, and Seven Days In May. 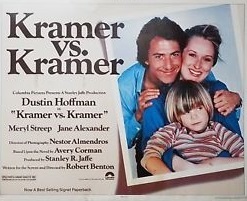 1980 – At the 52nd Academy Awards, Kramer vs Kramer won Best Picture, Best Director (Robert Benton), Best Actor (Dustin Hoffman), and Best Supporting Actress (Meryl Streep). Sally Field won Best Actress for Norma Rae, while Melvyn Douglas (Being There) won Best Supporting Actor. 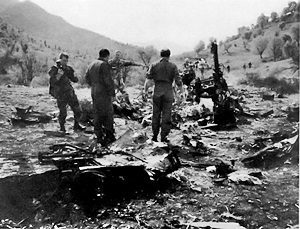 1994 – In a U.S. friendly fire incident during Operation Provide Comfort in northern Iraq, two United States Air Force F-15 Eagle fighters mistakenly shot down two United States Army helicopters, killing 26 people. Both helicopters were fitted with external, 230-US-gallon fuel tanks on mounted beside each side door with each tank emblazoned with large American flags. In addition to the flags on the fuel tanks, each helicopter was marked with American flags on each side door, on the nose, and on the belly. The F-15 pilots fired on and destroyed both helicopters, killing all 26 military and civilians aboard, including personnel from the United States, United Kingdom, France, Turkey, and the Kurdish community. As a result of an investigation several USAF officers received administrative discipline but only one was tried by military court-martial, in which he was acquitted. 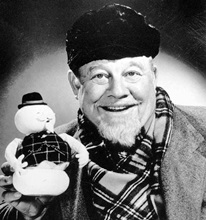 1995 – Academy Award winning actor Burl Ives died of cancer at the age of 85. A popular film actor through the late 1940s and ’50s, Ives’s best-known film roles included parts in So Dear to My Heart and Cat on a Hot Tin Roof, as well as his role as Rufus Hannassey in The Big Country, for which he won an Academy Award for Best Supporting Actor. As a folk and country singer, he recorded hits such as A Little Bitty Tear and Funny Way of Laughin’, but children of all ages will remember him for A Holly Jolly Christmas, which he sang in his role as Sam the Snowman, narrator of the classic 1964 Christmas television special Rudolph the Red-Nosed Reindeer. 1999 – Actress Ellen Corby died at the age of 87 after several years of declining health. She had bit parts in more than 30 films in the 1930s and 1940s, including It’s A Wonderful Life , but in 1948, her career took off when she received an Academy Award nomination and a Golden Globe for Best Supporting Actress for her stunning performance in I Remember Mama. 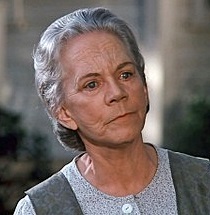 Her best-known role came as Grandma Esther Walton on the made-for-TV film The Homecoming: A Christmas Story, which served as the pilot for The Waltons. She continued her role as Grandma for nine seasons. 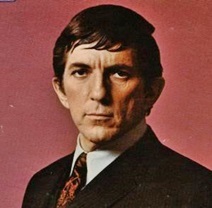 2012 – Actor Jonathan Frid, best known for playing the role of vampire Barnabas Collins on the gothic television soap opera Dark Shadows, died from complications after a fall. He was 87. He accepted his career defining role after being told it was a short-term one that would provide him with extra cash while he prepared to move to Los Angeles to pursue a career as an acting teacher. The “short-term” role lasted six seasons. 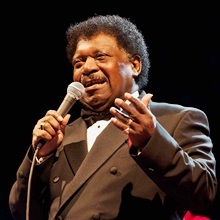 2015 – Singer Percy Sledge, best known for his #1 song When A Man Loves A Woman, died of liver cancer at the age of 73. Sledge was a generous man and in one case, it cost him a fortune. Although he had long had the melody to his hit song in his head, he had no lyrics. When bassist Cameron Lewis and organist Andrew Wright put together the words for him, Sledge gave all of the songwriting and publishing credits to them. Sledge was inducted into the Rock & Roll Hall of Fame in 2005. Compiled by Ray Lemire ©2019 RayLemire.com / Streamingoldies.com. All Rights Reserved. Still wish you had been my history teacher all through school. Did not know about Penney’s. Loved Burl Ives, Peggy always has her Grandchildren listen to his soothing voice. Not becoming a teacher is one of the biggest regrets of my life. Another good lesson of course. Like you, Dennis was big into history and would love to have read these history lessons. So much you don’t know or don’t remember … I love Burl Ives and a Holly Jolly Christmas …. he had such a wonderful story telling voice. Sometimes thanks doesn’t seem to be enough for all you do and put into these lessons and medleys … Thanks Ray. Always fascinating! Interesting that JC Penny ‘s is dying a slow death. Thanks, Donna … and the death is anything but slow.